This is a really great free sample! Especially if you’ve been wanting to try Barista Prima Coffeehouse coffee for your Keurig. 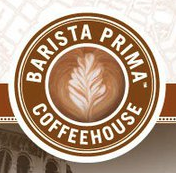 Head over to Facebook and “Like” Barista Prima Coffeehouse . They are offering a free sample of their special blends coffee. This free sample will go quickly. Get yours while it’s still around!